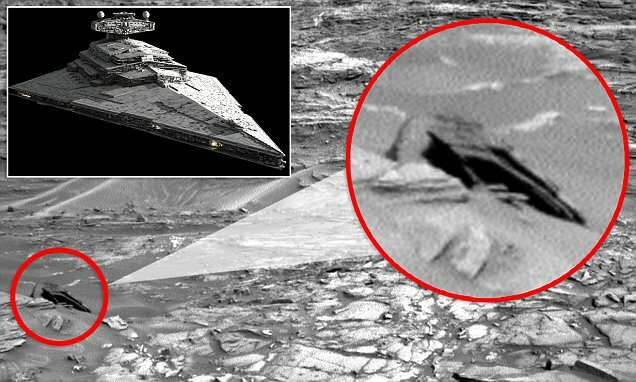 Another week, another Mars mystery, and this time, it’s a Star Destroyer-shaped anomaly. 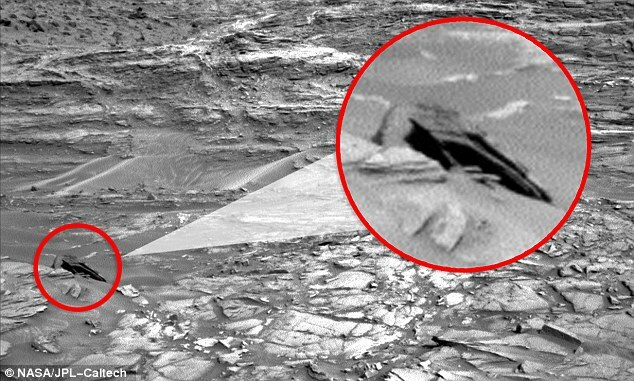 Spotted by researcher Scott C Waring, he said: “I found this anomaly in the latest Curiosity Rover photo. The black object looks like a crashed UFO…the spacecraft was only about 2.5 to 3 meters across, so it probably only held a few passengers. There is only one photo of the ship. The rover usually takes many of each area, but not this one. Perhaps tomorrow it will take more.” Continue reading for a video about water on ancient Mars. Now, new isotopic measurements by NASA researchers reveal that an ocean once covered approximately twenty percent of the Martian surface. This new picture of early Mars is considerably wetter than many previous estimates, raising the odds for the ancient habitability of the Red Planet.